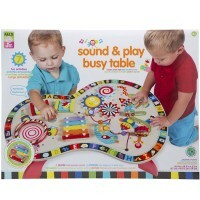 Busy Bead Maze Toddler Activity Center - Race Around by Alex Toys is designed as a colorful bentwood table top with 4 fun manipulative activities. Up and down, busy all around! 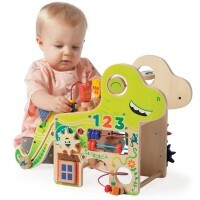 This new toddler activity center by Alex Toys brings developmental fun and imaginative play in one box. 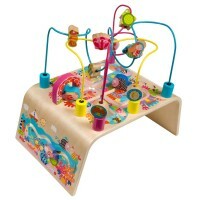 Busy Bead Maze Toddler Activity Center - Race Around is designed as a bentwood table top with 4 manipulative activities. 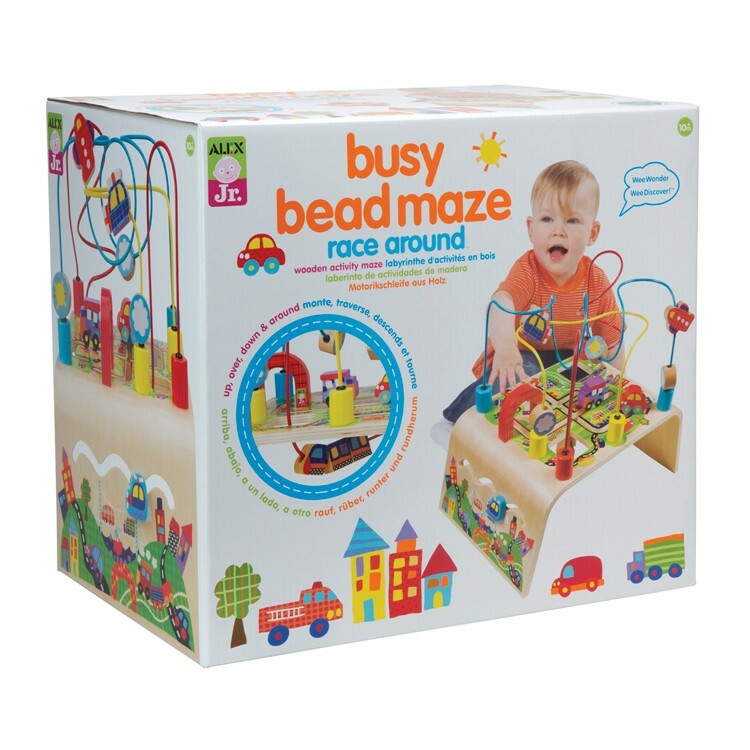 The Busy Bead Maze Toddler Activity Center - Race Around features a fun bead maze, a sliding track for the cars, colorful gears shifting, and tracking the cars along the streets of the toy town. 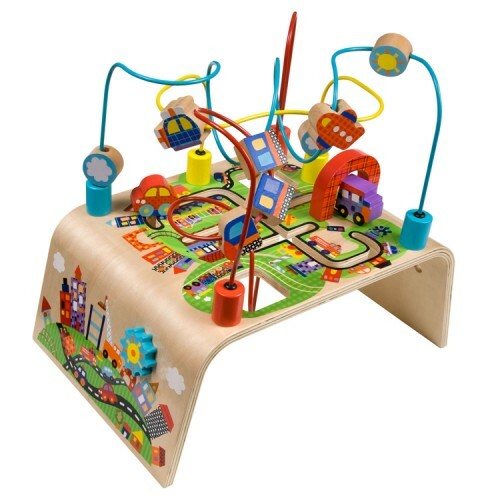 Your tots favorite vehicles will slide up, over and down the wire rollercoasters. 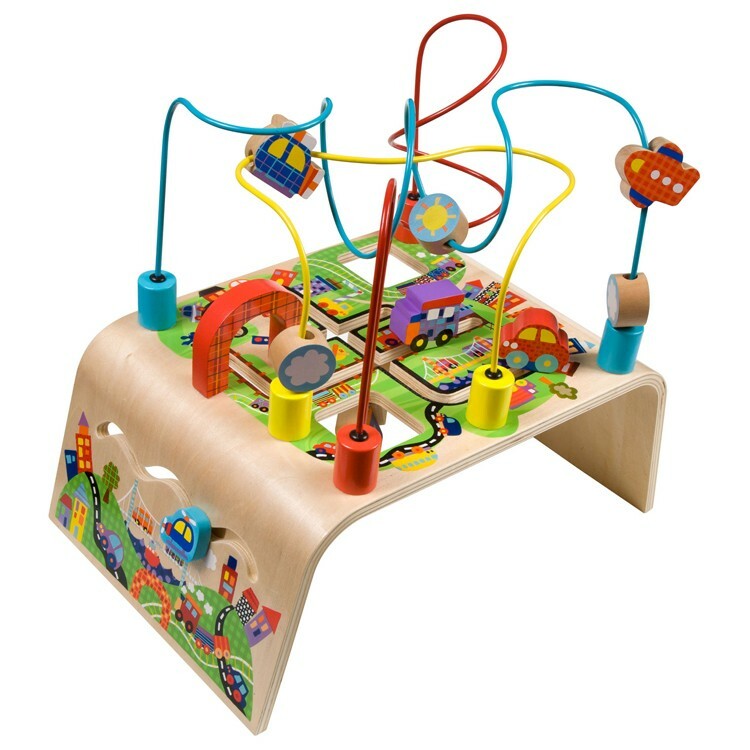 The vehicles bead maze from Educational Toys Planet will promote fine motor skills, hand-eye coordination and imagination for toddlers. 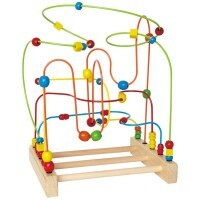 This amazingly detailed bead maze activity table for kids is great for your home or day care playroom, or doctor office waiting room. 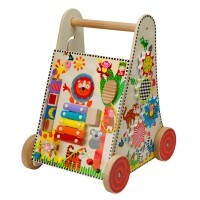 This toddler vehicles activity table measures 16.25 x 18 x 12 inches. 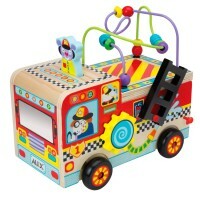 Move, slide, twist, explore with this cars manipulative activity center for kids! 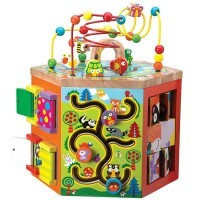 Dimensions of package 12.2" x 18.5" x 16.6"
Write your own review of Busy Bead Maze Toddler Activity Center - Race Around.